Badger Daylighting™ – Construction Industry Services. Badger Daylighting™, trusted to support the Construction Industry. For 25 years, Badger’s innovative technology has supported the construction industry with their excavation projects. Where safety is crucial, our Badger Fleet helps clients navigate challenges faced during projects. Built for optimized performance, our industry-leading technology reflects power and agility to take on almost any situation. Whether its site development, or roads all Badger Units are designed to work in the most congested construction areas. 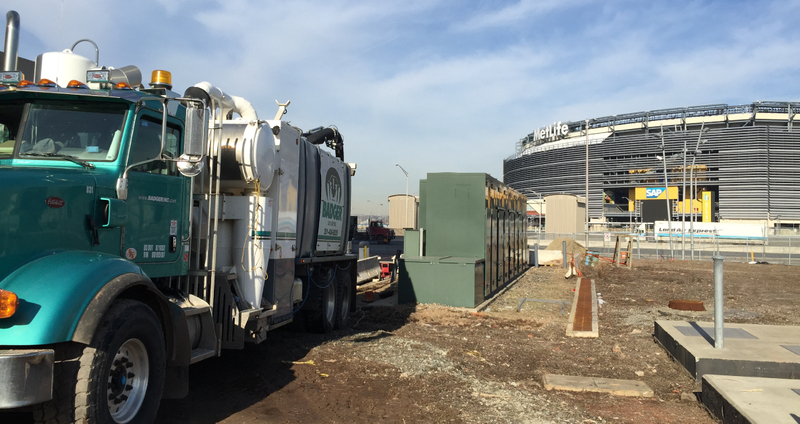 Our remote hose capability enables excavation or debris removal from up to 300 feet from the unit. Precision excavation reduces ground disturbance and minimizes back-fill needs. Whether it’s trenching, debris removal, potholing or daylighting, our services keep your project on-time and on-budget.